This mini hidden camera is world’s smallest camera, it fits all kinds of portable tools. 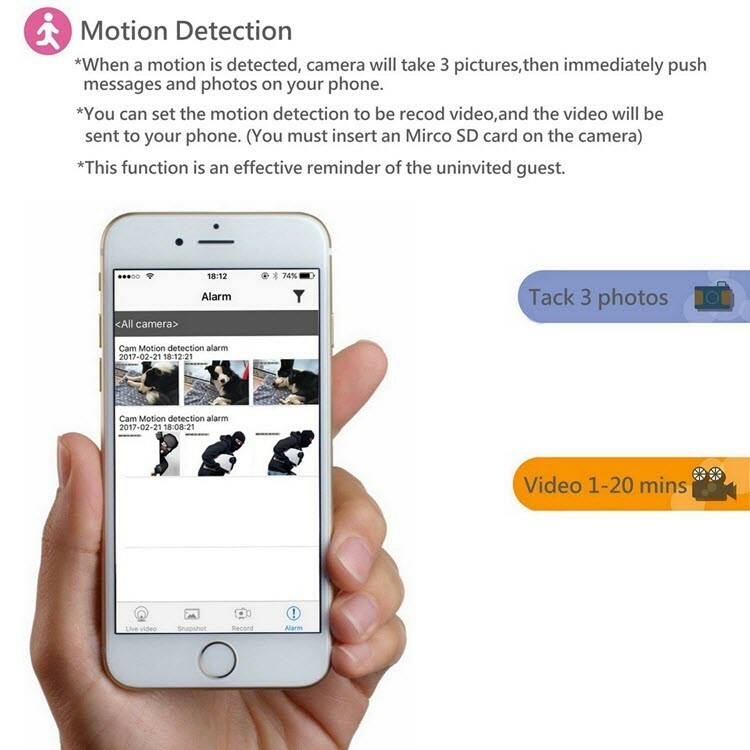 Hidden Video Recorder: Very small and Lightweight, Compact design, Like a button; Support TF card up to 32GB (Not included); Support recording and charging at the same time, support loop video recording. 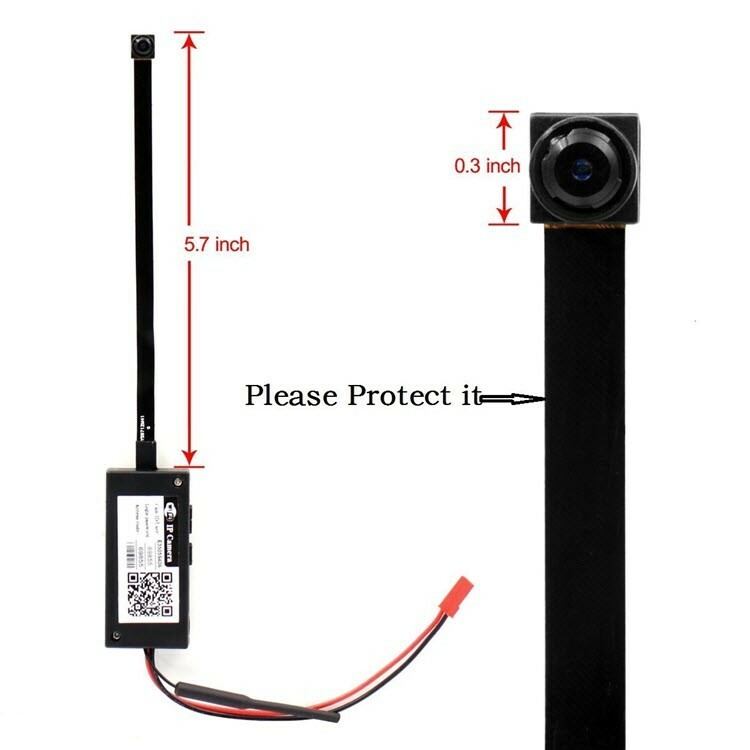 Wi-Fi camera, ease to use: (Important: Please insert your TF Cards before you use it!!!) 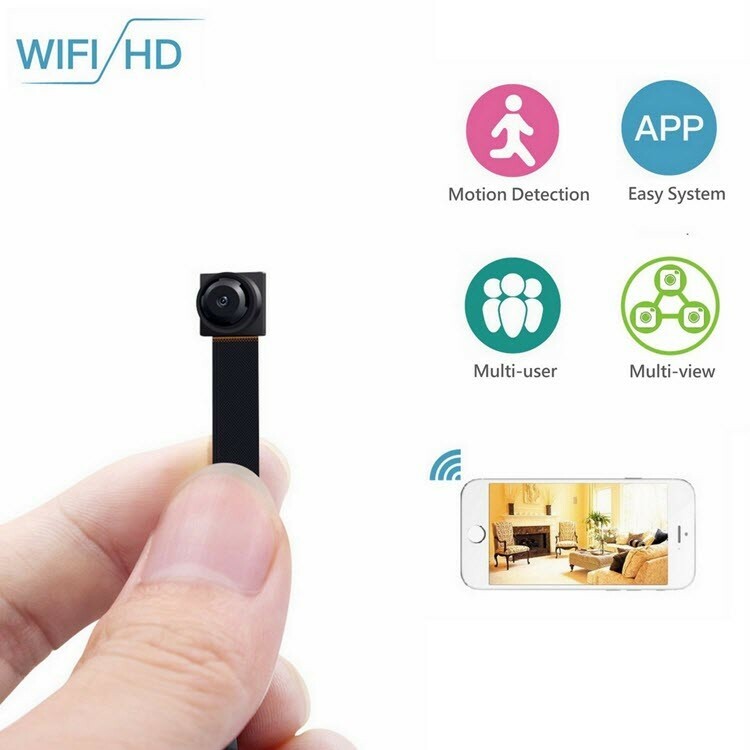 This Hidden Camera has WiFi: The newest HiSilicon chip solution brings stable WIFI connection. 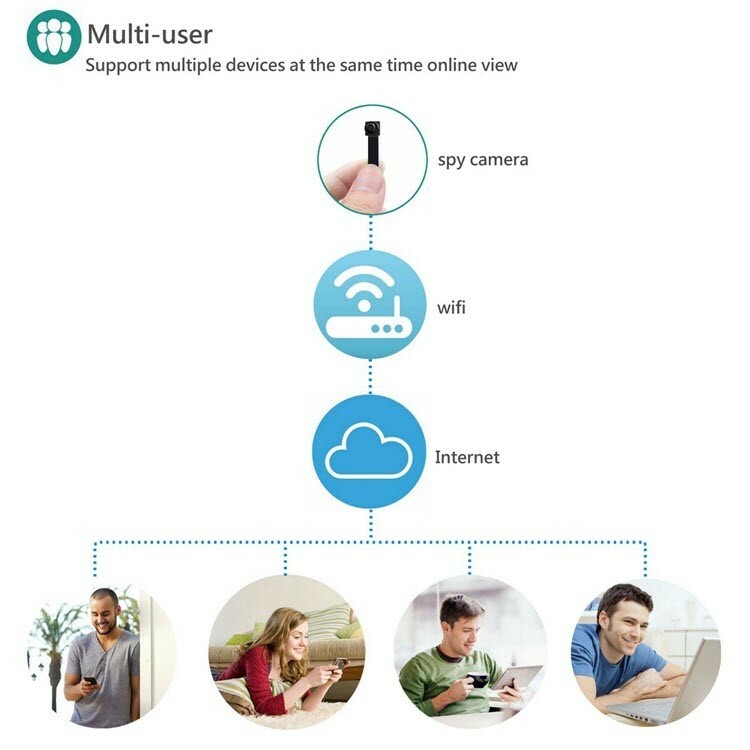 Support Local and Remote connect ,WiFi distance about 10m-20m ,Password management to protect your privacy. 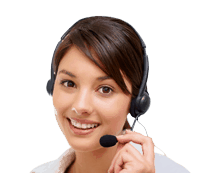 tips: precondition of remote connection is ensure cell phone can access to Internet: WIFI OR mobile phone network. Practical: Video Resolution: True HD 1280x720P,Bring high-definition video and picture quality. 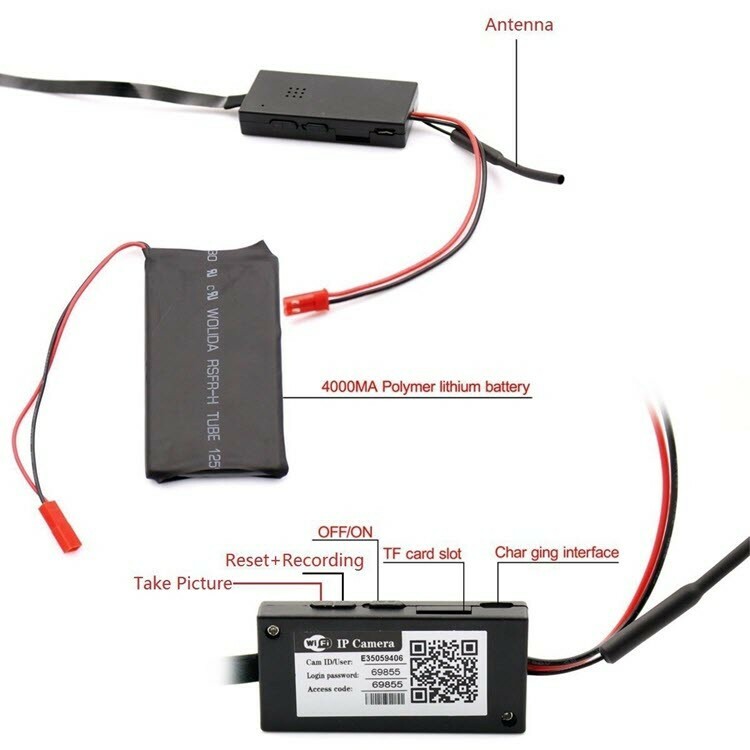 With 10,000 mAh lithium battery ,sustainable video recording 400 minutes. 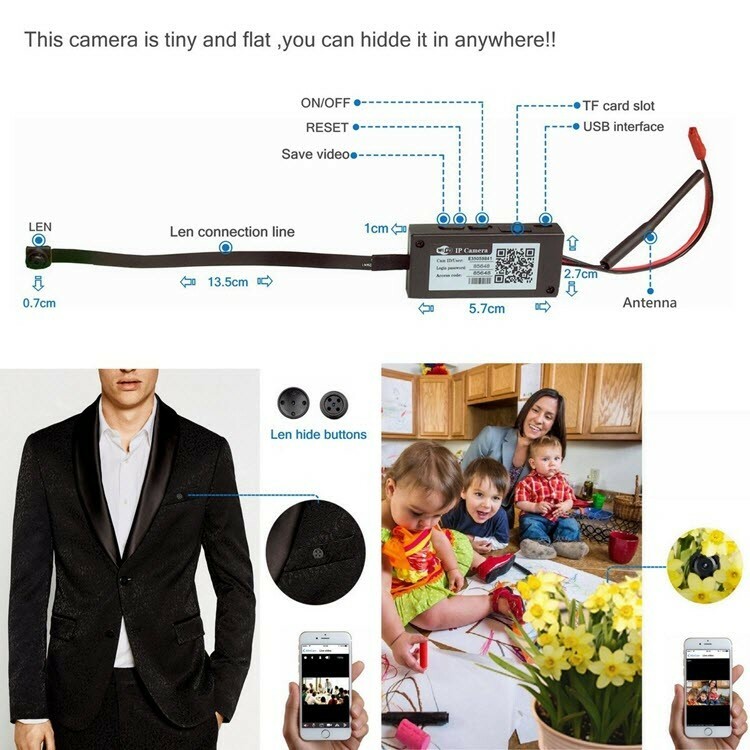 Connecting to mobile phone/tablet/PC directly by searching camera’s WiFi signal. 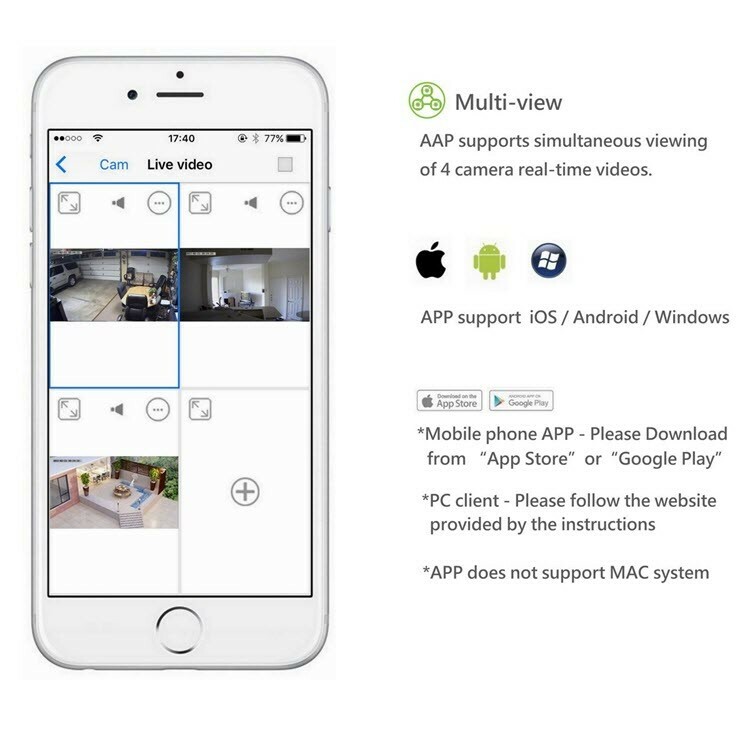 You could watch video from camera in time. No need WiFi router to transmit. Built-in 10,000 mAh lithium battery: lasting recording upto 900 minutes. Various different styles of button cap for your various need based on your environment giving you the option to wear different button cap on the camera lens that makes it very easy to hide and carry. 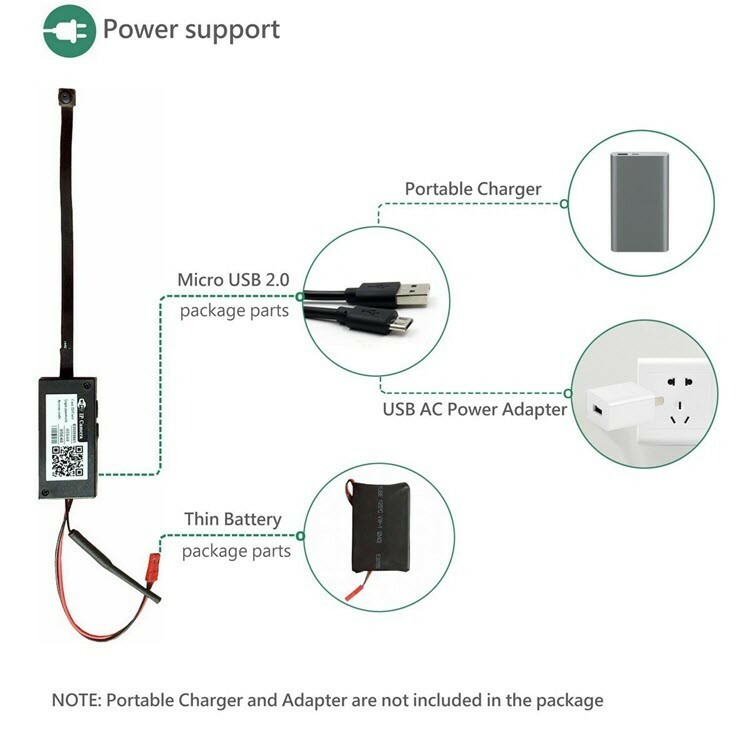 Support Local and Remote connect ,WiFi distance about 30m ,Password management to protect your privacy. Sustainable video recording: upto 900 minutes.